The British adventurer Ernest Shackleton once placed the following newspaper advert: ‘Men wanted for hazardous journey. Low wages, bitter cold, long hours of complete darkness. Safe return doubtful. Honour and recognition in event of success.’ It was certainly not an advert that could be challenged for inaccuracy or hype! This was an expedition that would deliver exactly what it said on the tin. Like Shackleton Jesus didn’t undersell the cost of getting involved in such a risky adventure, but whereas Shackleton could only offer the possibility of success, Jesus was able to offer certainty. 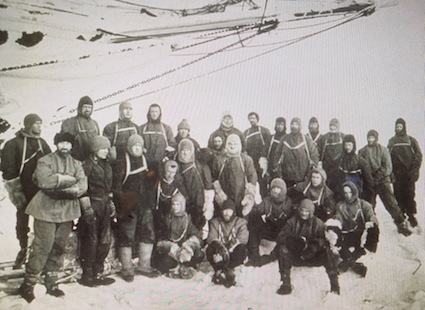 Shackleton set out with no way of knowing whether or not he would achieve his goal. But Jesus knew from the beginning that he would succeed and that where he had led, others would surely follow.